I attended the memorial service for the mother of a dear friend of mine. This friend is my age, and we have known each other since junior high school. It was much too soon for her to have to say goodbye to her mom. I was deeply touched by everyone who shared memories and thoughts and prayers. I marveled at the joy and pain mingling together as we sang songs of worship. Our pastor stood up to share. He began to talk about how we each encounter situations in life that don’t make sense, that seem too difficult to be God’s best for us. 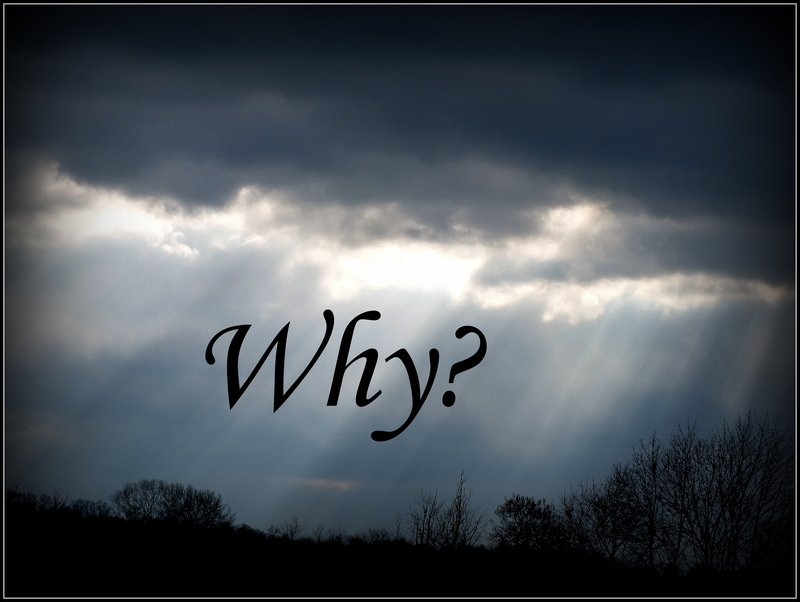 We all ask God the question, “Why?” He listed the many famous men of the Bible who asked why. Then he made a statement that cut to the core of my being. “There was one ‘why’ that swallowed up all the other ‘whys’,” he said, and I instantly knew what he was talking about. I share with you in all your loss, I will make all things new. God made us for Eden which means “delight” and “pleasure.” We were made to live in perfect shalom; peace, nothing broken, nothing missing. But our world was plunged into darkness and put under a curse because of sin. The effects of that gloom always seem so wrong and unfair and foreign to us. That is because they are. We were created for something better, something perfect. While we are here in the Shadowlands, we have a unique and very short-lived opportunity that we will never have again once we have crossed over into glorious eternity. We have the privilege to have faith in something we can’t see. Faith in a good and amazing God. Faith that all things will be redeemed and restored. We have the chance to touch our Father’s heart as we praise Him through our pain. Rick Joyner received a vision from God in which this was shown to him in a marvelous way. “Then I was in a different place, beholding a worship service in a little church building…Everyone in the battered little room…were experiencing severe trials in their lives, but they were not even thinking of them here. They were not praying about their needs. They were all trying to compose songs of thanksgiving to the Lord. They were happy and their joy was sincere. One Sunday at church I was inspired by a testimony of a woman who had been miraculously healed of cancer. I love it when God’s power is so visibly demonstrated here on the imperfect earth among broken humanity. I clapped and cheered for this one soul who had received a death sentence and then had that terrible pronouncement revoked. But I was deeply touched and moved and undone by something else. A man who had recently lost his wife to cancer was raising his hands to praise God for the healing of another. I felt my heart deepen and stretch to try to contain the grandeur of that one small act. I thought I heard heaven weeping because this man had so touched the Father’s heart with his praise. 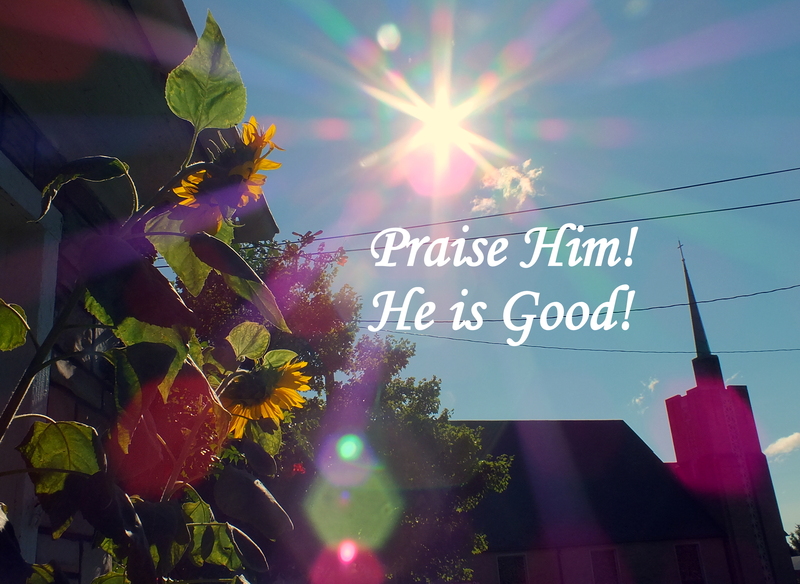 The greatest victories of the Christian life occur when we suffer crushing earthly loss and still praise God! The “Whys” get swallowed up by such praise and we get catch a glimpse of the world we were really created for. Such heart wrenching emotions intermingled with praise–it seems the only true way to find the comfort and hope one needs. Yes! God is so good and just acknowledging that is so comforting! Thank you! God is always so good and draws near to the brokenhearted!